It is the Government's job to govern and that should mean to take a measured and considered approach to decision making. Sadly with the legal high issue Peter Dunne and his National Party colleagues produced a knee-jerk response to a public outcry. Recreational drug use is a complex issue and running around with a hammer hitting down problems as they pop up is not a long term strategy. The Greens' decision to abstain from voting on the Legal High Bill was a difficult one but based on strong principles. Synthetic cannabis is dangerous stuff and is destroying many young lives. The original inventor, Professor John W Huffman, claims that it was never designed for human consumption and the synthetic version is much more addictive than the herbal variety and has 'serious psychological side-effects'. Many took up smoking synthetic cannabis because it didn't show up in work drug testing, it was readily available and they could avoid a criminal conviction. A number of Campbell Live programmes have highlighted the devastating effects of legal highs on young people and their families and a great deal of frustration and helplessness was being voiced from many communities. Obviously those who were experiencing the the wider consequences of legal highs just wanted the stuff out of their lives with no idea how this could be done effectively. Banning it and making it illegal seemed like an immediate solution. Rather than tackle the broad issues of recreational drug management the Government has taken a populist approach, rather than a sensible one, and their attempts to control the use of recreational drugs are inconsistent and full of mixed messages. The Government has already bowed to the lobbying of the alcohol industry when it backed down on the Law Commission's excellent recommendations in the final legislation. While legal highs have created real health and social problems the vast majority of drug related costs (social and economic) are caused by alcohol. It has been estimated that the consequences of alcohol consumption costs the country around $5 billion a year. While it is clear that using ordinary cannabis has negative effects, especially in our young, the major costs are probably in policing and the long term effects that criminal convictions cause to many users. Many natural cannabis users shifted to synthetic legal highs, they may have avoided a criminal conviction and kept their jobs but the psychological and social costs were probably much greater. Many have probably lost their jobs anyway because of the behavioural changes caused by their legal high consumption. The legal highs products will shift from shelves and into the black-market. There are no age checks or quality controls over products sold within the black market. Many black-market dealers also deal in other illegal drugs that may be worse that synthetic cannabis and will be offered to young people. Having the supplies cut immediately will force a lot of users into withdrawal and this will put them and their families under a lot of stress unless there are appropriate support services available. Many may end up with criminal convictions through their addiction to substances that were once legal. Drug addiction support agencies and our medical system are already stretched to meet the current numbers of addicts and unless they receive appropriate resourcing and support they will not be able to meet the demand. To his credit, Tony Ryall has increased funding to addiction services, but we probably still do not have the trained personnel and capacity to manage a large increase in addicts and families seeking help. We will probably have an increase in family violence and other crimes as users suffer the consequences of withdrawal. The only way to truly manage recreational drug use and minimize harm is through increasing education, especially in our young. We also need to decriminalize drug use and treat it like a health issue rather than criminal one. When drugs are legal we can control the supply and the supplier, but monitoring and controlling sales needs to be properly funded and resourced too. In Invercargill there has been no trained personnel with the authority to monitor and check legal high suppliers. Spending money on controlling recreational drug access at the point of sale is actually an investment because the costs of abuse are very much higher. A proactive approach has been proven successful by the Problem Gambling Foundation who discovered that working at community level to manage access and availability to gambling machines was the best way of reducing the numbers of problem gamblers. Sadly we all know how the Government responded to their success. What should be paramount in any decision involving recreational drugs is that any solution needs to minimize harm and not end up creating new problems. A summary of the Greens' Drug Law Reform Policy. Post Script: A good contribution from Duncan Garner. It is time parliament showed some real leadership and made room for a mature and open discussion about the whole recreational drug scene, from tobacco to marijuana, alcohol to psycho-actives, P, meth and heroin. All can kill, destroy lives, addict, poison relationships and cause huge heartache and physical damage. But they are here as ongoing problems, and need sorting in a rational way, and with least impact on and maximum control by the community. If trusts were to handle these products, and the profits went to the community where sales occurred, then harm reduction would be developed at the top of the cliff. And the special interests of lobbying industries needs to conform to the countries wishes, not the country to theirs! I agree with most of your points, David, but I do have some misgivings about trusts for all. There are some substances that should never be available and even if funds go to communities people may turn blind eyes to ill effects if they profit from them. The most important thing is that drug taking shouldn't be a criminal offense, but the selling of dangerous substances should. David R - "least impact and maximum control" sounds wise, but need to be qualified - "Least impact" I take to mean "least negative impact" and "maximum control" to mean "for the benefit of the community. Yes? Or no, I'm interested to hear what you think. Dave K - which substances "should never be made available"? Alcohol? Does the most harm, that. My favourite Conservative said "when you destroy a market you create a black market" (or something like that) and I think he was correct in this instance. Some things should be banned, RG, like diffuse pollution from farm runoff and heroin, because neither, IMO, make this world a better place. Heroin may be less desrving of a ban though, because its effects are quite personal. which substances "should never be made available"? Recreational drugs that have been laced or corrupted with fatal ingredients, or any that could cause death or serious illness as an immediate consequence of consuming. Strychnine doesn't sound that good and arsenic probably shouldn't be consumed either. Interesting article Dave. As you point out, the Problem Gambling Foundation was having good success, based on a community response. 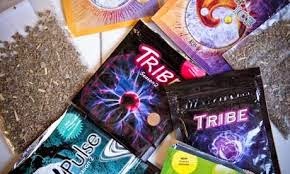 I wrote an opinion piece on synthetic highs here, and the underlying cause of the addictive behaviour here: http://www.nzprogress.org.nz/synthetic_society - would be keen to know your thoughts. What you say makes a lot of sense, TWM. My daughter is studying anthropology at Victoria and she was explaining to me how Australian aborigines are considered to have one of the most successful and sophisticated cultures because they have have developed a lifestyle that fully connects them with their environment, they need for little and their impact on their environment is minimal. Contemporary Western society can claim to do none of those.